Pickleball courts at Raleigh Park! Pickleball is one of the fastest growing sports. With teams of two or four players, the game of pickleball combines the elements of badminton, tennis, and table tennis. Whether you are new to pickleball or an avid player, THPRD offers many places for you to play pickleball both indoors and outdoors. 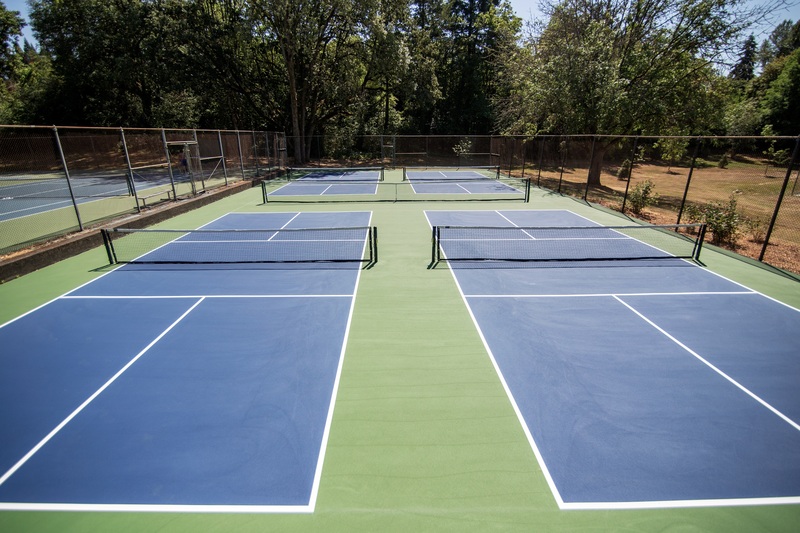 Outdoor courts:These outdoor courts are available on a first-come, first-served. Please limit play to 60 minutes when courts are in demand as a courtesy to other players. Raleigh Park has four, permanent outdoor courts. Rock Creek Landing has two courts. Bring your own nets. Ridgewood View Park has two courts. Bring your own nets. Elsie Stuhr Center has one outdoor court. Call for availability. Indoor courts: Daily drop-in rates apply for use of indoor courts. For more information on our daily admission, click here. Tualatin Hills Athletic Center offers drop-in programs. Call for details. 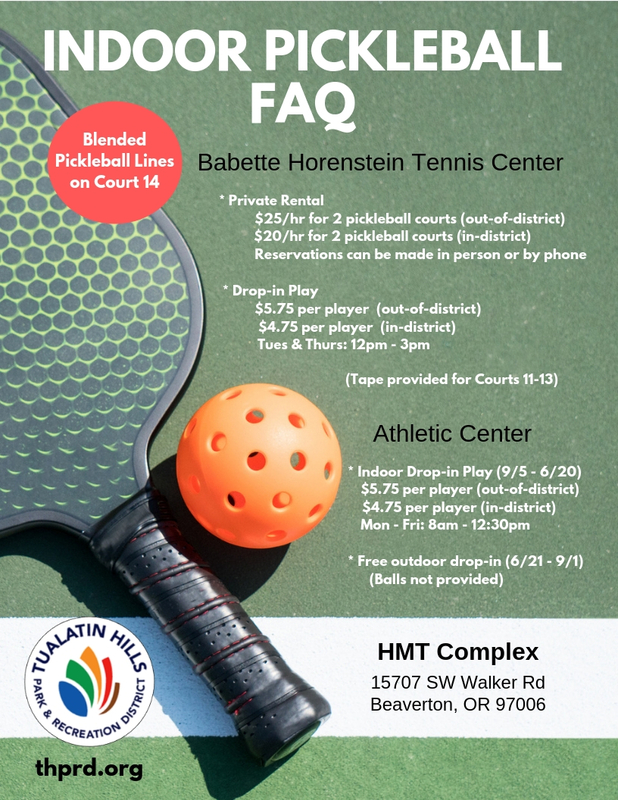 Babette Horenstein Tennis Center has indoor and outdoor courts. Call for reservations. Conestoga Recreation & Aquatic Center has an indoor court. Call for details.